Ar Sáthairn an 12 Aibreán 2014 shiúil pobal na Gaeilge ó fud fad na tíre i mBéal Feirste ar son cearta teanga do teanga na Gaeilge. Ba é teama an lae na ‘cearta, cothromas agus cóir’ agus tháinig na mílte amach le taispeaint an t-éileamh mhór atá ann do níos mó seirbhísí agus aitheantas a thabhairt don Ghaeilge. An rud is suntasaí faoin lá ná an méid daoine óga a ghlac páirt sa siúlóid seo. Bhí páistí agus daoine óga ag freastal ar an mhórshiúil seo lena dteaghlaigh, lena gcairde agus cuid mhór acu lena scoileanna nó lena gclubanna óige. Ba iontach an rud é daoine óga a fheiceáil amuigh lena dteanga a cheiliúradh agus ag seasamh ar son a gcearta teanga. Maith sibh! Is féidir amharc ar tuairisc ón mhórshiúilóid a bhí déanta ag Meon Eile trí chliceáil anseo. On Saturday the 12 April 2014 the Irish language community from right across the country marched in Belfast for language rights for the Irish language. ‘Rights, equality and fairness’ was the theme of the day, and people came out in their thousands to show the pressing demand that there is for more services and recognition to be given to the Irish language. The most significant thing about this day was the amount of children and young people who took part in this march. Children and young people were attending this parade with their families, with their friends and very many of them with their schools and youth clubs. 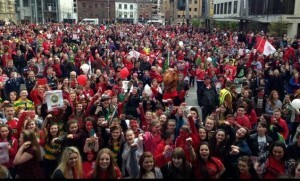 It was wonderful to see young people out celebrating their language and taking a stand for their language rights. Maith sibh! 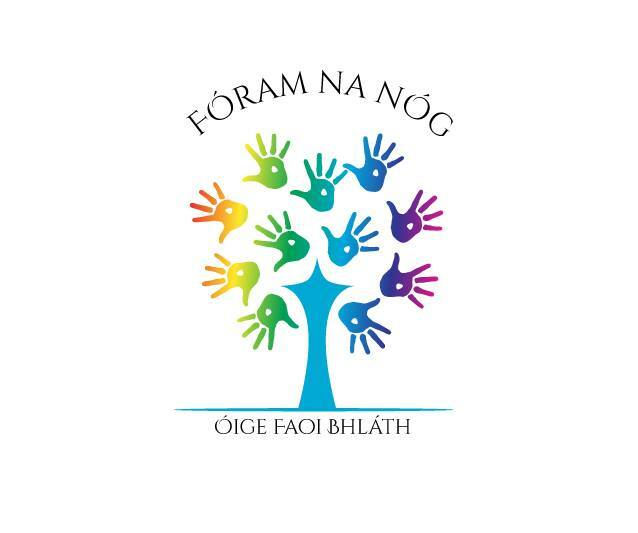 You can watch a report from the Lá Dearg by Meon Eile by clicking here.